There are innumerable marketing podcasts on temporary tactics, tricks and hacks, but this is the ONE SHOW that will actually transform you...yes even you...into a marketing master. As you join us on this fascinating journey, you will develop the single most critical skill in business...that is...the Marketing Mindset. 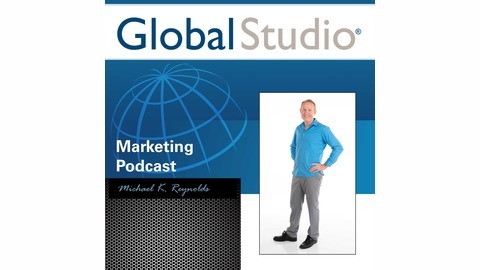 Your host is Michael K. Reynolds, the founder of Global Studio, faithfully serving as your Virtual Chief Marketing Officer with more than 25 years experience of accelerating the success of organizations just like yours. This is a show for entrepreneurs, dreamers, world changers, business enthusiasts and inventors of flying machines. You’ve climbed the mountain...let’s tell the world. No one will be able to sell your vision and products or services better than you. Because, no one will ever care more about your business than you. But, if you're the BEST your company has as a sales and marketing professional then you better be great at it! 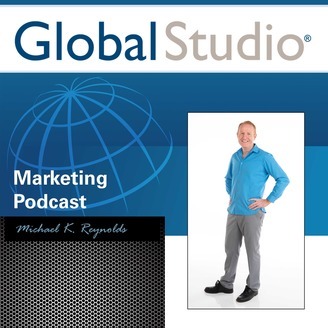 Join Michael as he shares a key insight into unlocking your inner marketing genius.